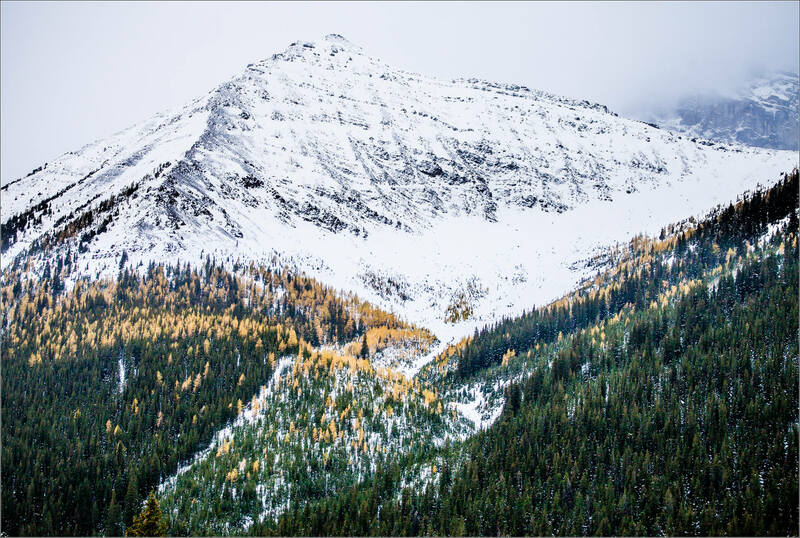 Winter is beginning to win the hearts and minds of the mountains in Kananaskis Country. 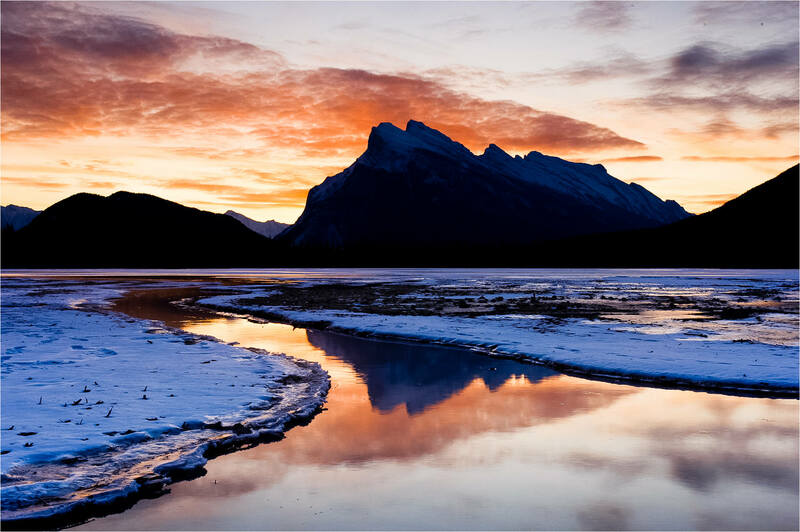 After the sunrise at Wedge Pond, I hiked around the Upper Kananaskis Lake for a little while. 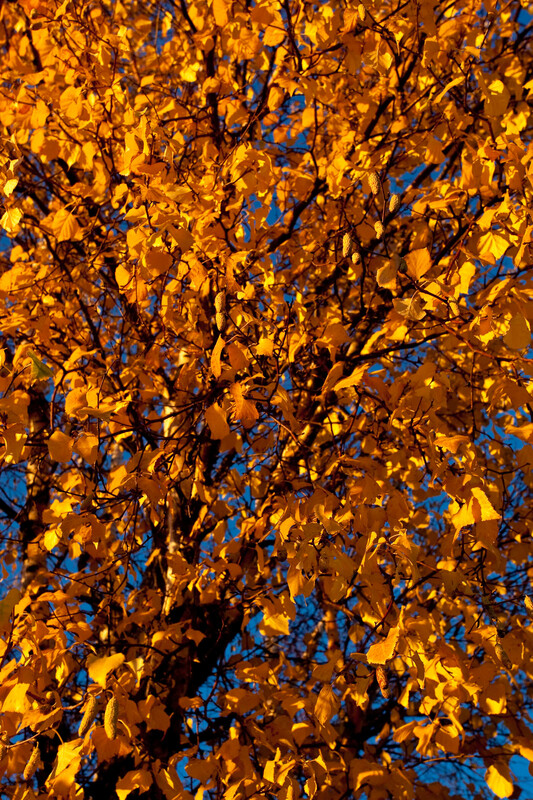 There are some lovely yellows and golds in the trees reaching up along the lower flanks. With a few days of cool weather the patches of snow have knitted together and trekked down the slopes to meet, and pass through, the forest. 2011 was a good year for my landscape photography as I got into a variety of beautiful scenes and had the opportunity to create some interesting images. 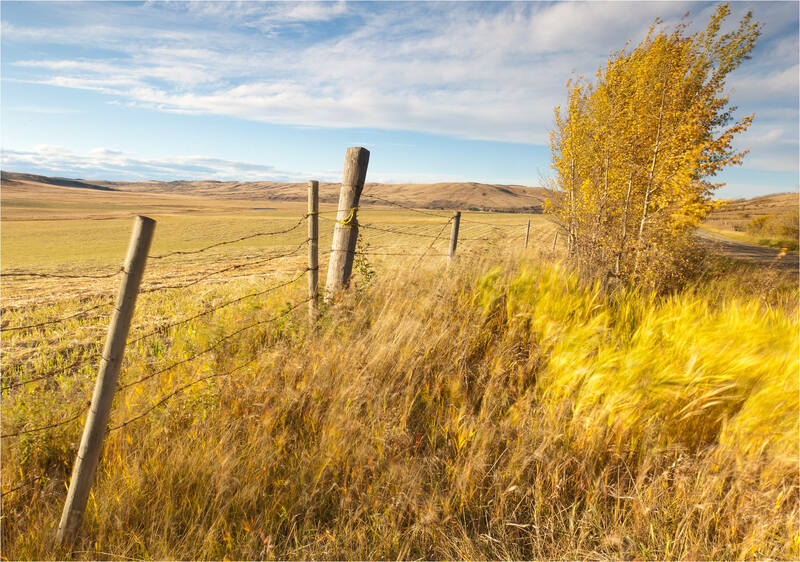 Tonquin Valley and Kaua’i stand out in particular and I also enjoyed working through the seasons on the prairie. Here is a large set of photographs which I was happy to add to my portfolio over the past year. 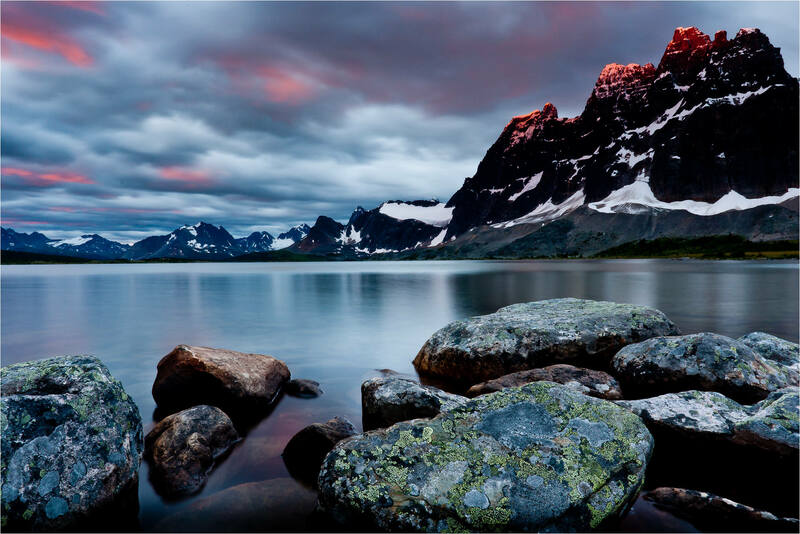 Pink sunlight streaked across the ceiling of clouds and painted the tips of The Ramparts in Jasper National Park’s Tonquin Valley. 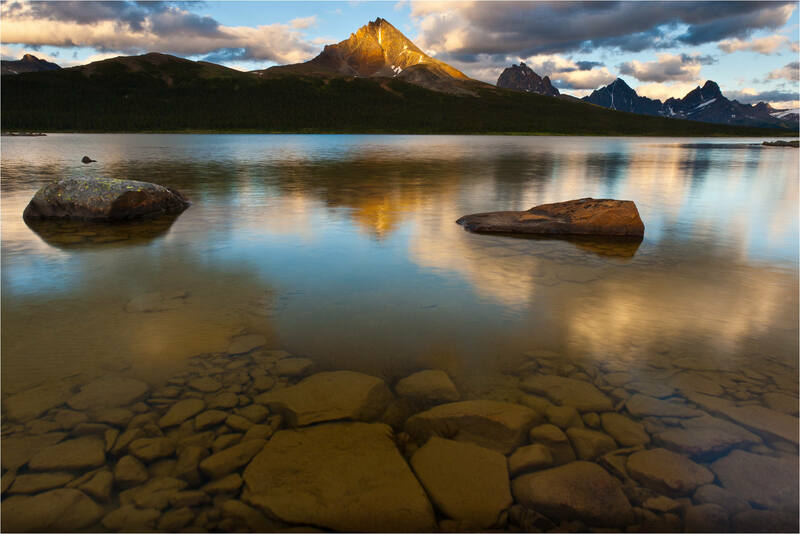 The warm light of late afternoon in the Tonquin Valley wrapped around the mountains and the clouds just ahead of dusk. A polarizer allowed me to play with the reflection and transparency of different parts of Amethyst Lake and I loved how this image ended up. 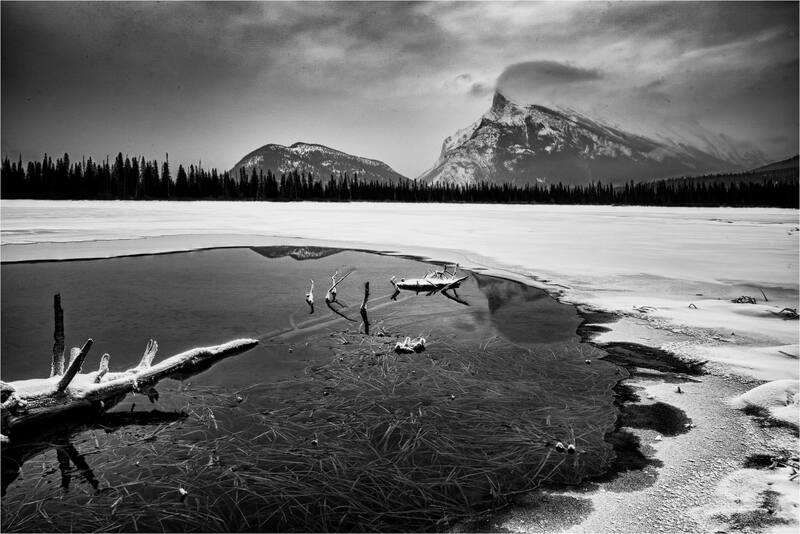 I seem to have an addiction for this weathered log and this view across the Vermilion Lakes towards Mount Rundle. The hot springs that trickle into the lake open a large hole in the ice in the winter revealing the chaotic patterns of grass, sand and rock underneath. I’m sure I’ll continue to work in this location again this year. The Elbow Falls are in Kananaskis not too far from my home in Bragg Creek. I tour up there regularly throughout the year. 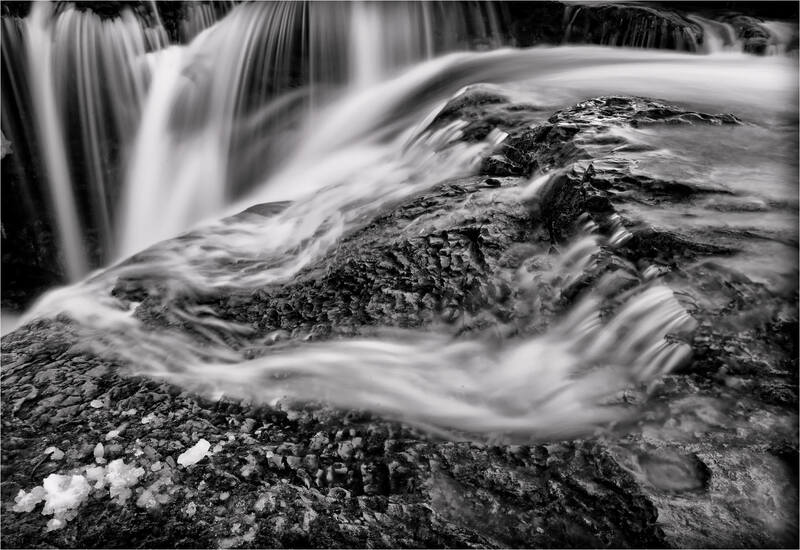 Photographing the area in winter is a favourite when the ice and snow layer more patterns on the textures in the rock and running water. I found this interesting chunk of ice just above the falls. 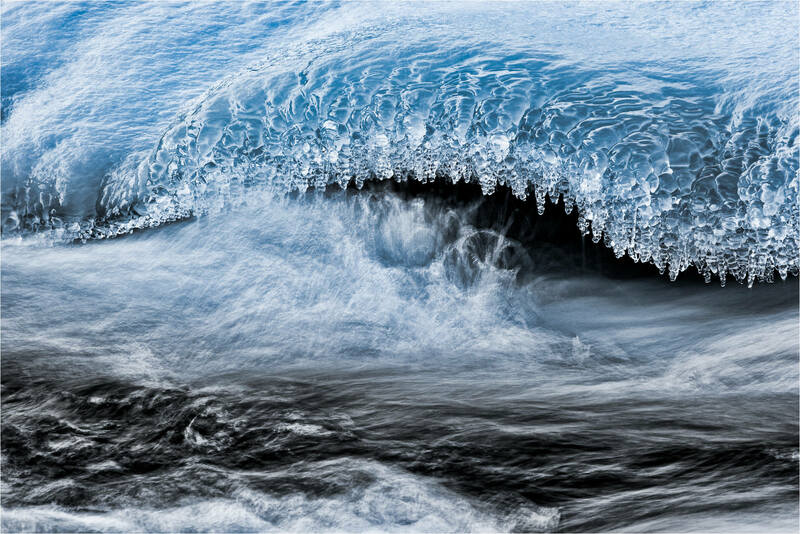 I played with the shutter speed until I found a balance that I liked between the movement and energy in the water and the repeating patterns in the ice. 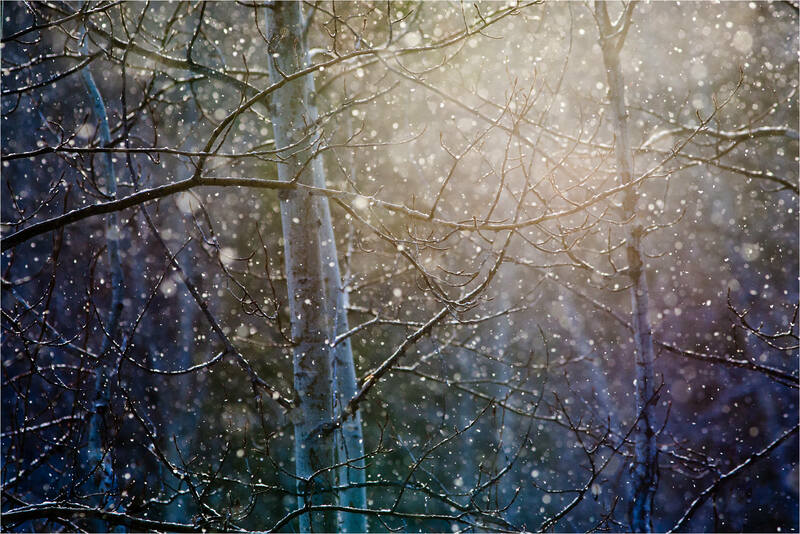 A late snowstorm in my backyard was illuminated by sunlight that broke through the clouds for a minute. 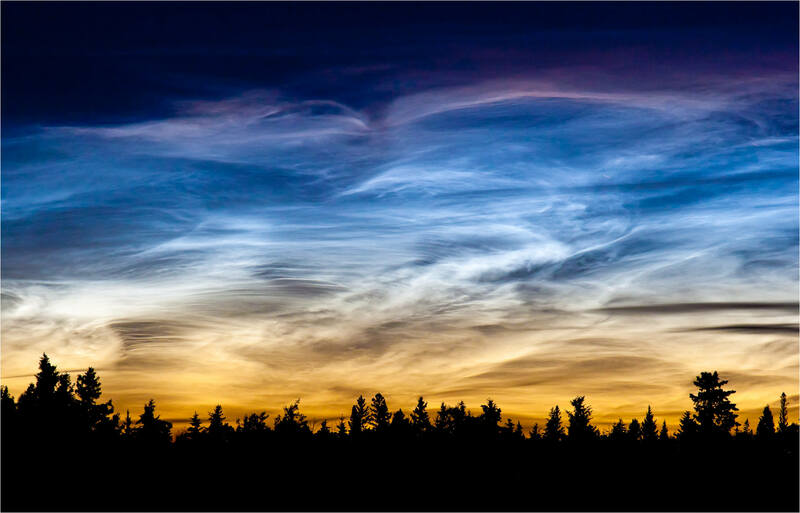 Noctilucent clouds high in the atmosphere are lit up by the sun creating this amazing midnight scene. I was driving back from a late landscape shoot and had to stop and was happy to set everything up again. I had not seen a sky like this before and haven’t since. Thank you to Olivier Du Tré for identifying what these clouds are – until he corrected me, I had thought they were a strange incarnation of the Aurora Borealis. 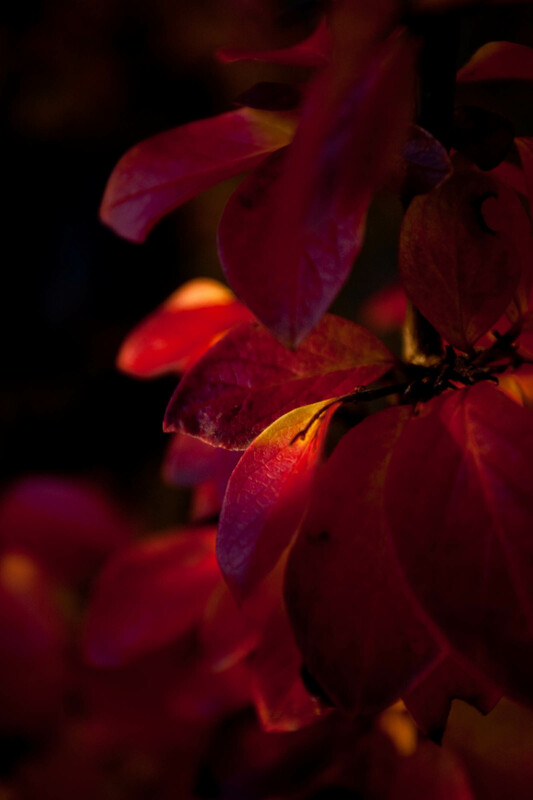 Note: please do click on Olivier’s link and visit his site, his photography is high art. 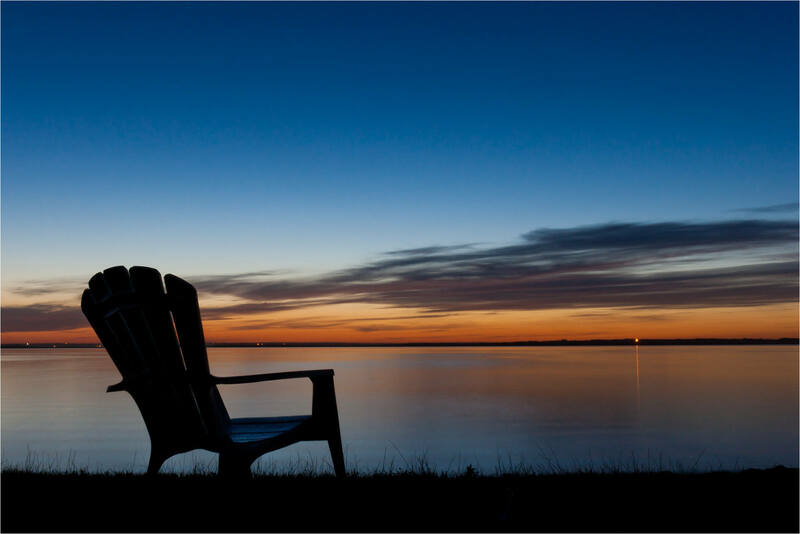 A weekend at a friend’s cabin on Buffalo Lake, east of Red Deer, found me on the beach with a chair during a gentle slide into night. 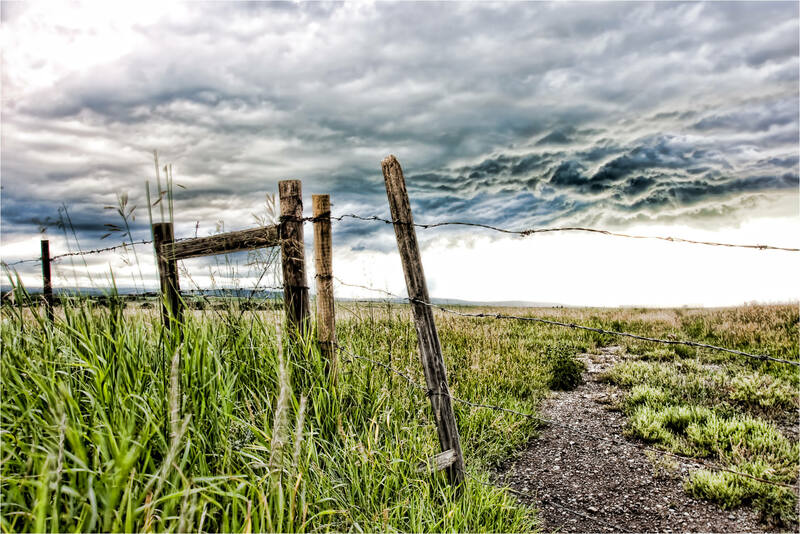 A storm threatening rain and lightning curled and stretched above the prairie in Springbank, west of Calgary, Alberta. A broken fence caught my eye on one of Bragg Creek’s back roads and led me into this forest which had the best of autumn’s colours on display. 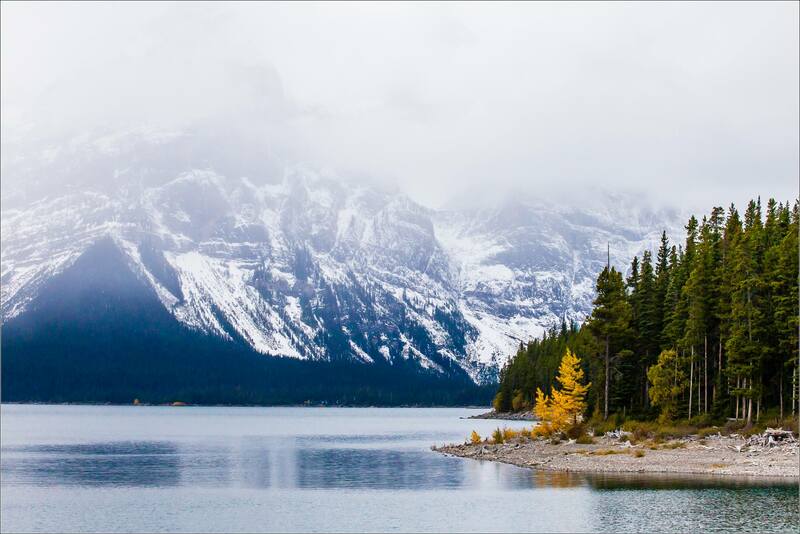 Wedge Pond, along the Kananaskis Trail (Alberta Provincial Highway 40), captured my heart for the month where summer gave way to autumn. 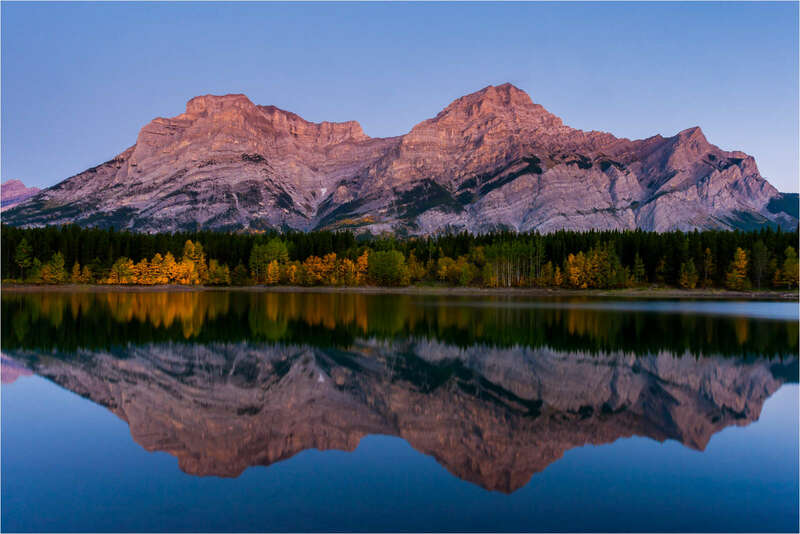 The classic shot is with Mount Kidd reflected in the calm water but I found opportunities for beautiful images from many locations all around the lake and the surrounding hills. 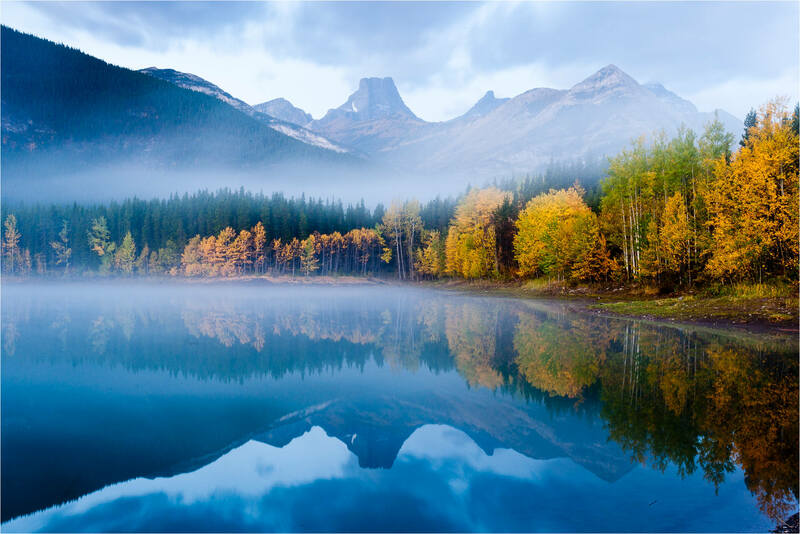 This image shows Fortress Mountain reflected in the pond surrounded by fog and the autumn colors. Another magical spot I’m looking forward to heading back to soon. 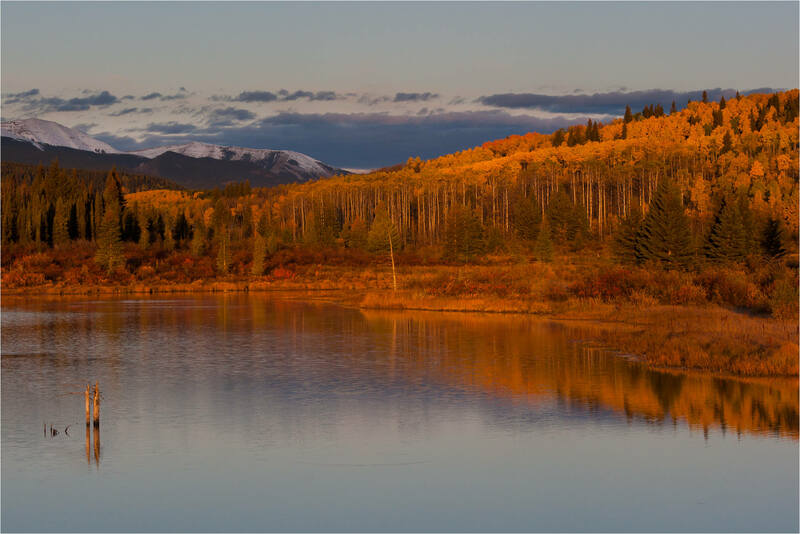 …And, I could not escape the siren’s call of the classic reflection of Kidd under alpen glow before sunrise in the calm water on Wedge Pond. 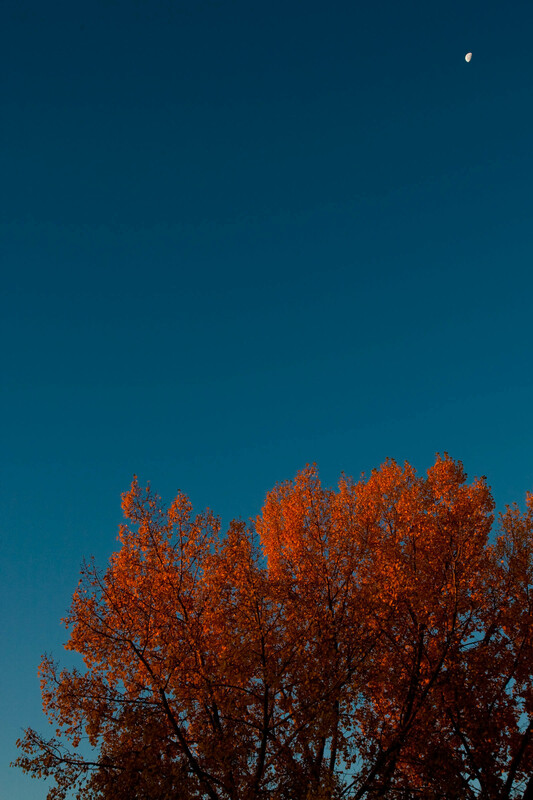 There were a few sunrises over the prairies that I was amazed to be in the middle of this fall. 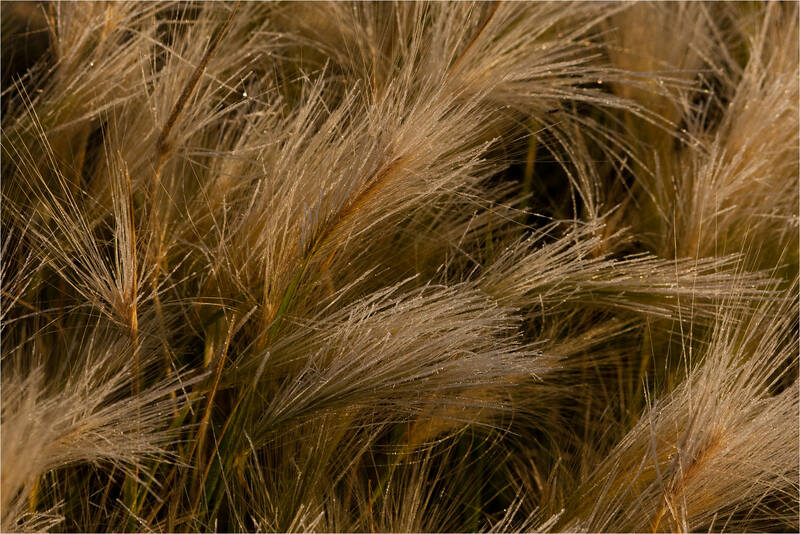 The light was delicate and warm, washing over the fields and sharing an incredible glow. 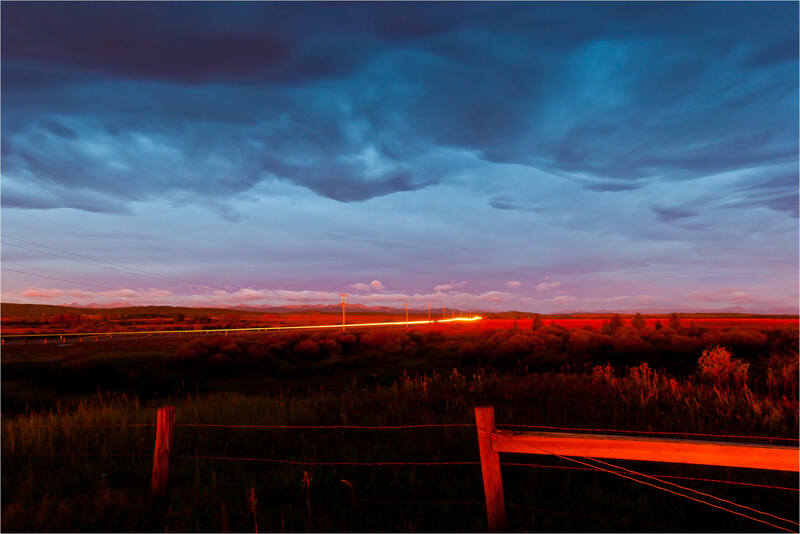 Here, in Springbank along Highway 8, the red landscape contrasted beautifully with the blues and purples in the sky. 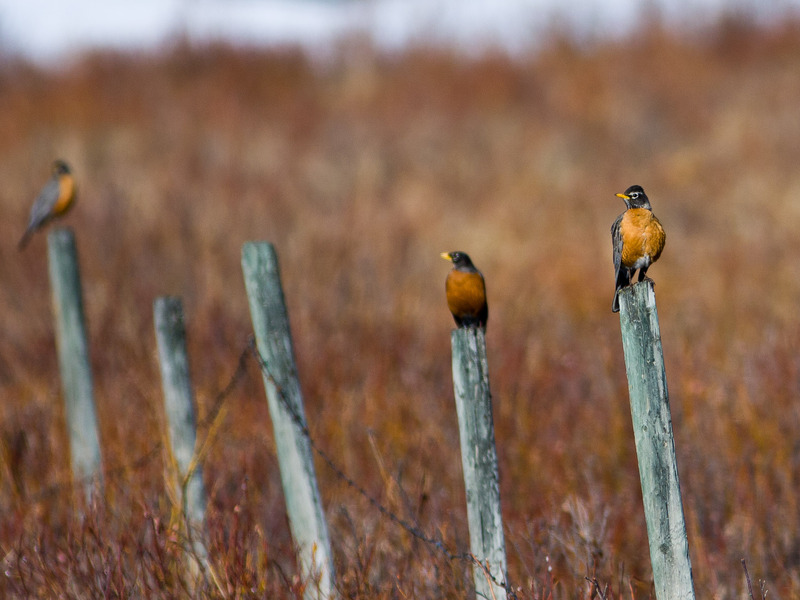 Frank Lake is near High River and is an important staging ground for bird migrations in the spring and fall. 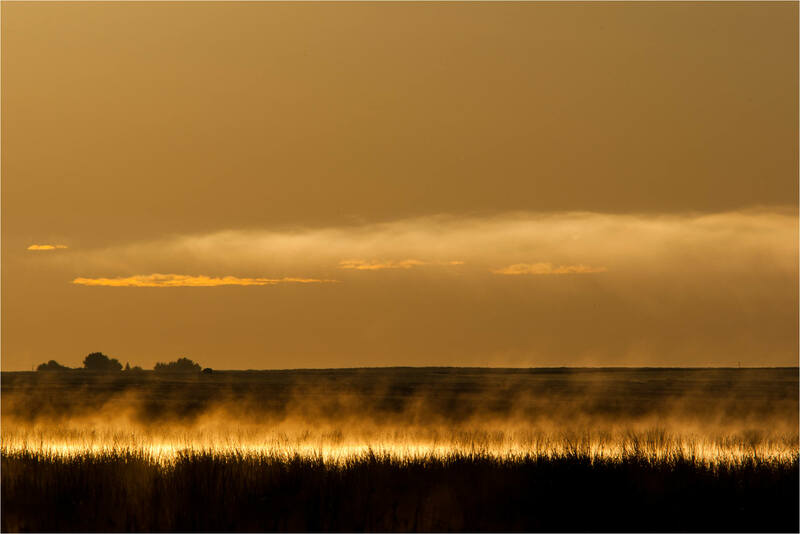 Waiting for one of the flocks to launch off the water, I was enchanted by this abstracted landscape with the steam rising off of the lake and the more subtle elements which define the prairies for me. Namely, clouds, sky, farmsteads and long horizons. 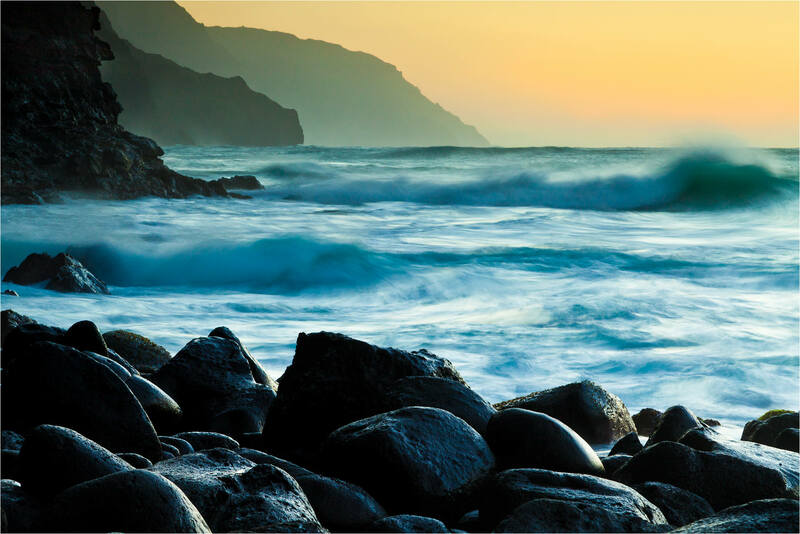 Anticipating that winter would be attacking Alberta with frigid temperatures and heavy snow, we booked a December trip to Hawaii’s garden island, Kaua’i. The winter was, and remains, fairly mild but we had no regrets spending a great stretch of days on the coast, in the ocean and up along the ridges of this wonderful place. 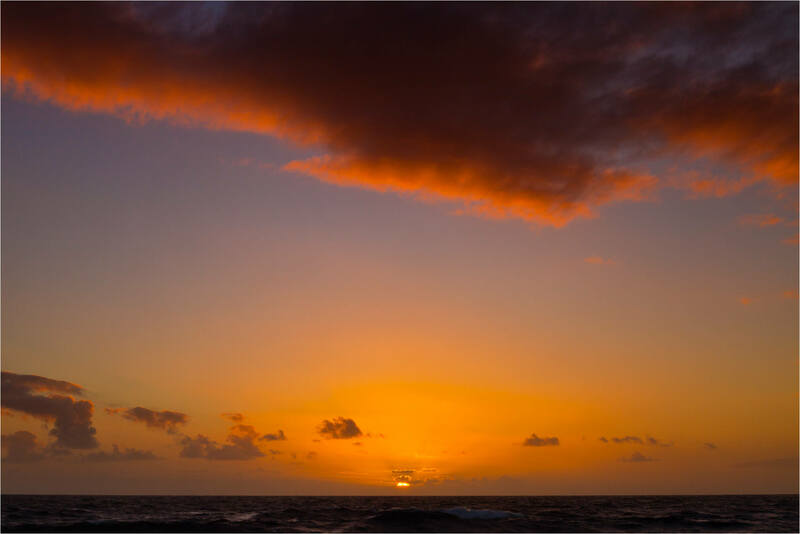 The images above and below are from separate sunrises from a stretch of shoreline just north of Kapa’a on Kaua’i’s east coast. Waimea Canyon is called the Grand Canyon of the Pacific and is worthy of as much time as you can spend there. 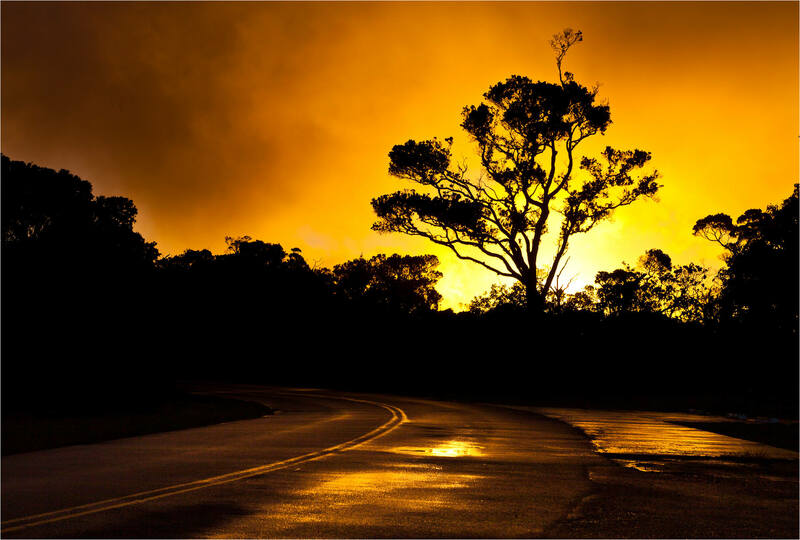 On our way back down from the Kalalau Valley overlook along the Koke’e Road (Highway 550) the clouds rushing across the western slopes of the island were lit up by the evening sun with some light reflecting off of the asphalt for a little extra detail. 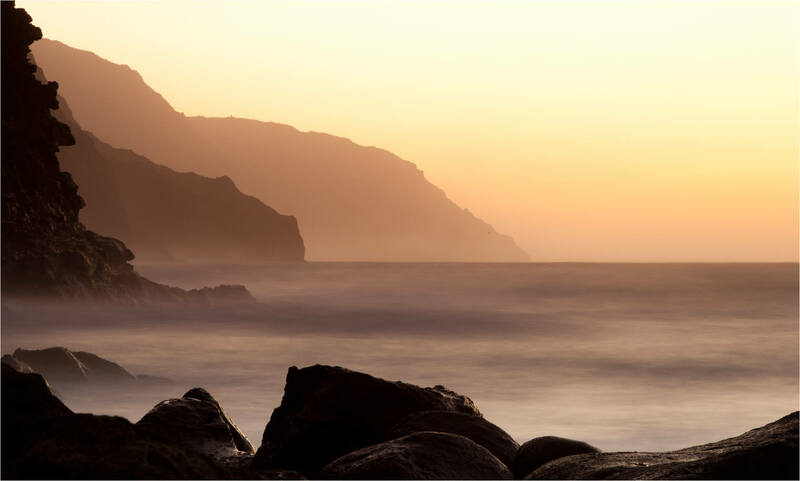 On our last evening in Kaua’i, Bobbi and I hiked a little north of Ke’e Beach and enjoyed the many faces of the Na Pali coast leading up to and following sunset. 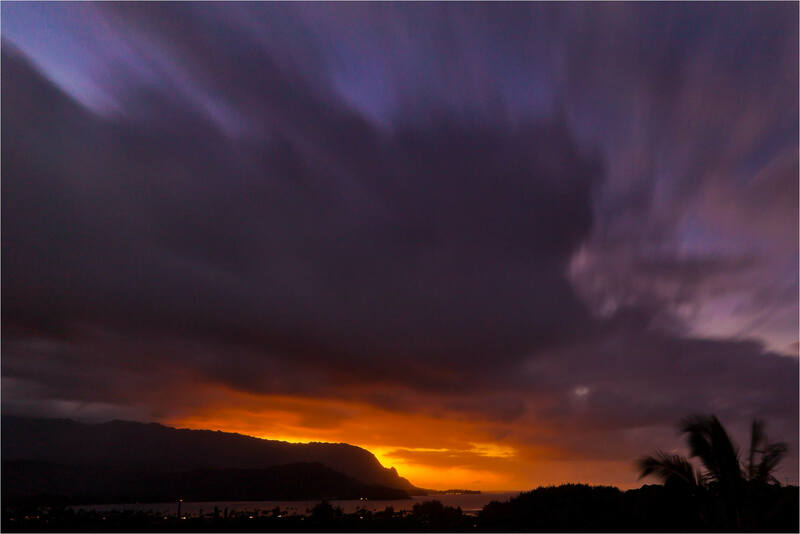 Almost an hour after sunset, a long exposure revealed the colours still present in the sky over Hanalei Bay and further along the coast towards Bali Hai. 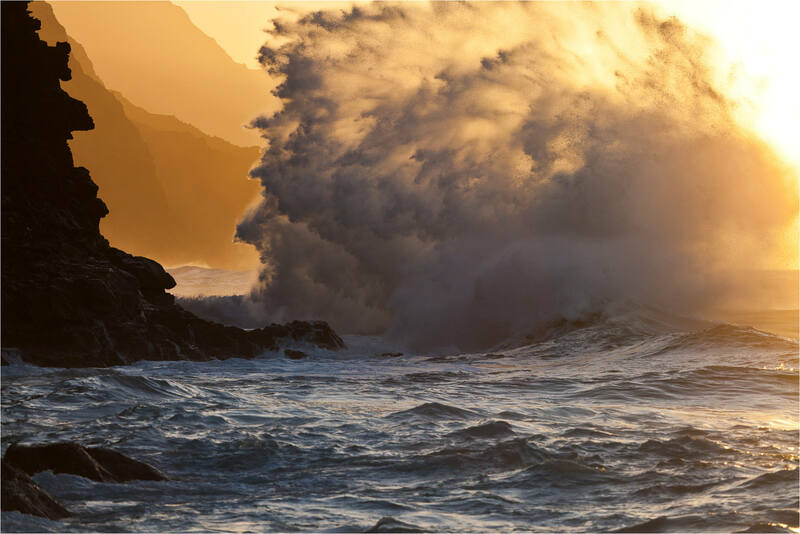 The collision of incoming waves hitting those rebounding off of the vertical cliffs sent sprays of water 60 or more feet into the air. 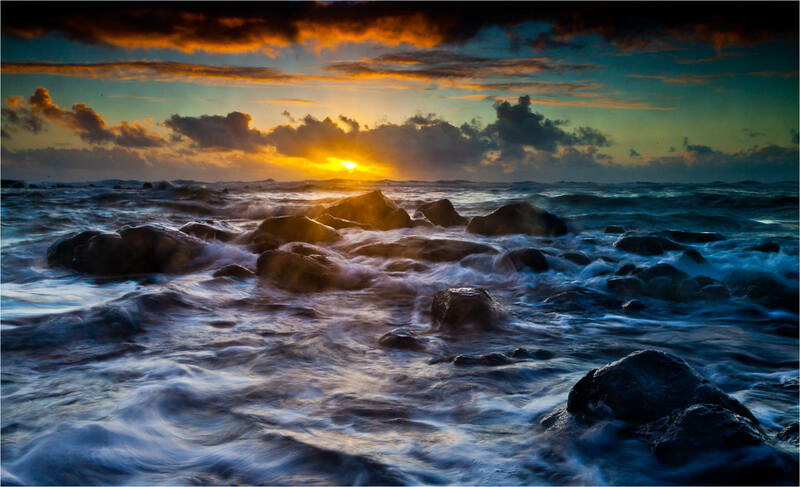 With the sun filtering through the water droplets, a beautiful image was there for the making. Shortly after the sun set into the ocean, the fading light took on a green hue. I have heard about that but it was the first time I seen it. 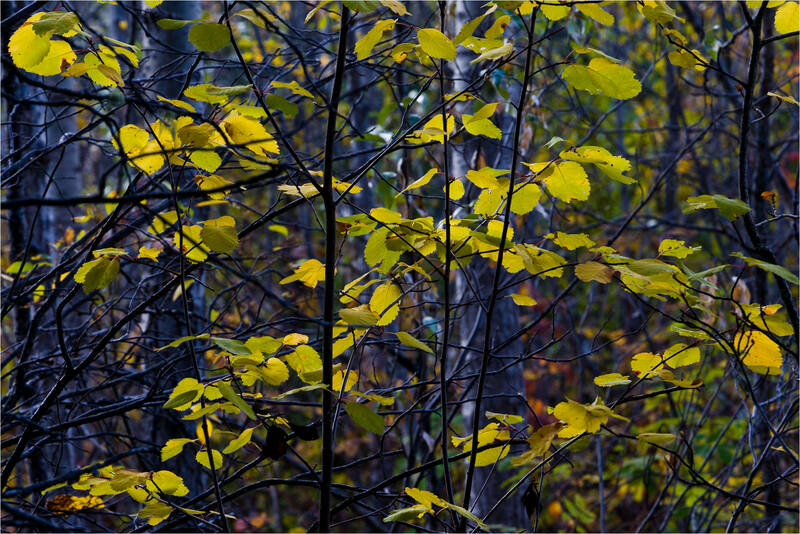 The light changed from warm yellows and oranges to green quickly. I was very surprised how quickly it changed again to the purple hues of late evening in the tropics. Thank you for wandering through a few of the places I dug my tripod legs into over the past year. 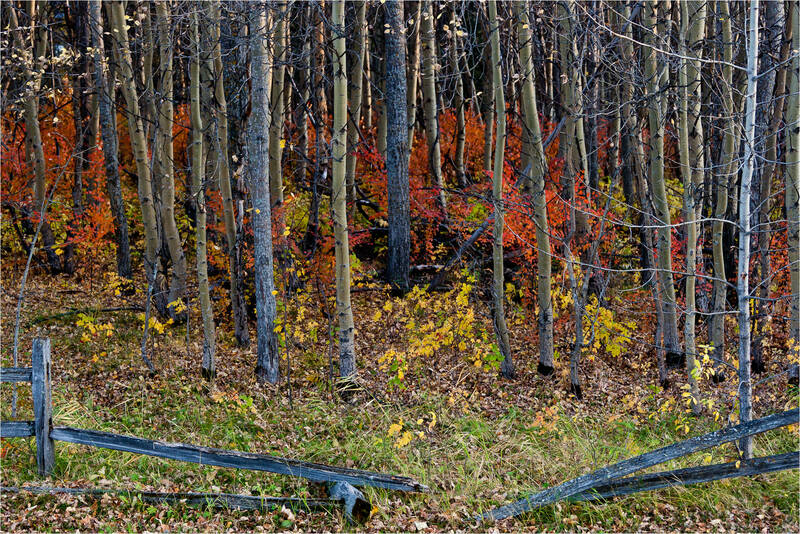 A short collection of some images from around Bragg Creek over the last couple of weeks of fall. 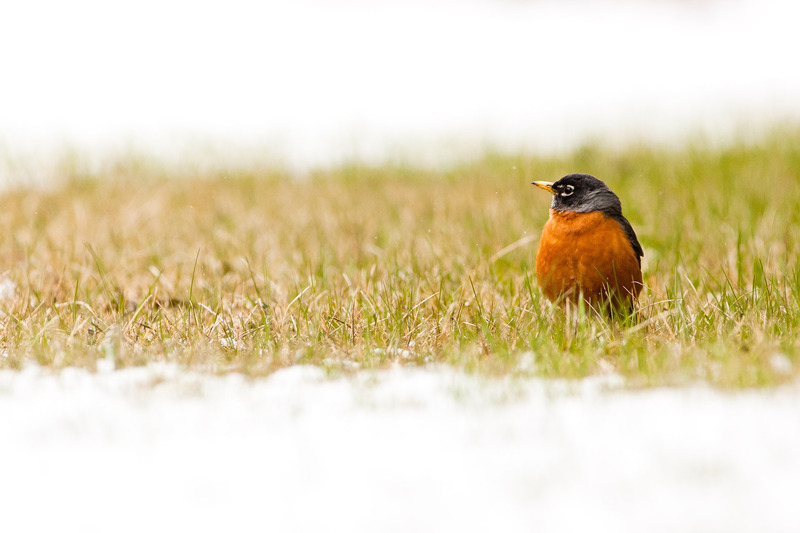 Over the last couple of weeks the North American Robins have begun to arrive and there are now good numbers flitting about the receding snow and the newly exposed grass. 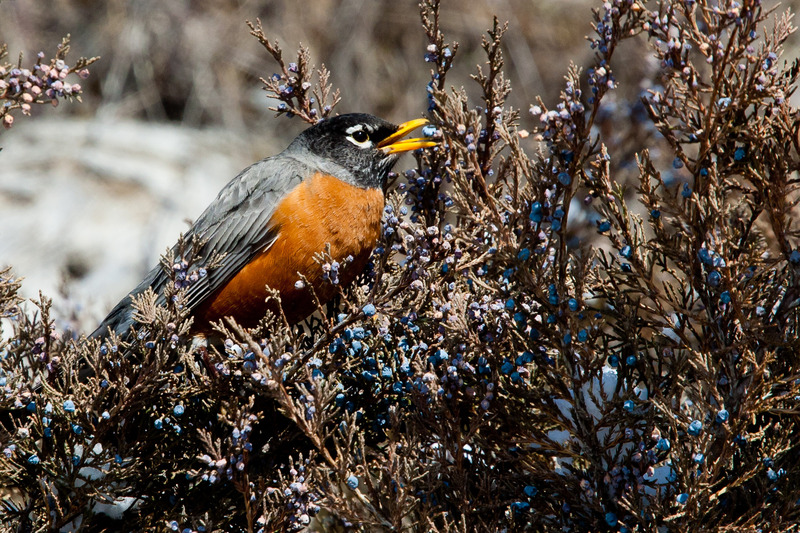 In this part of the world, they are one of the most promising signs that spring has successfully beaten back winter. I’m very happy to see them making that case both here in Bragg Creek and in Banff. 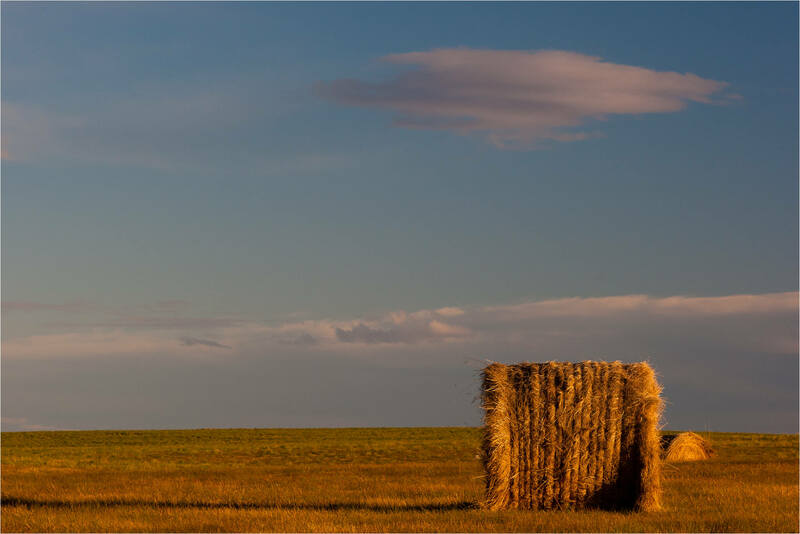 I was in Calgary this morning and took a little time to shoot in the warm light as the sun came up over the horizon. 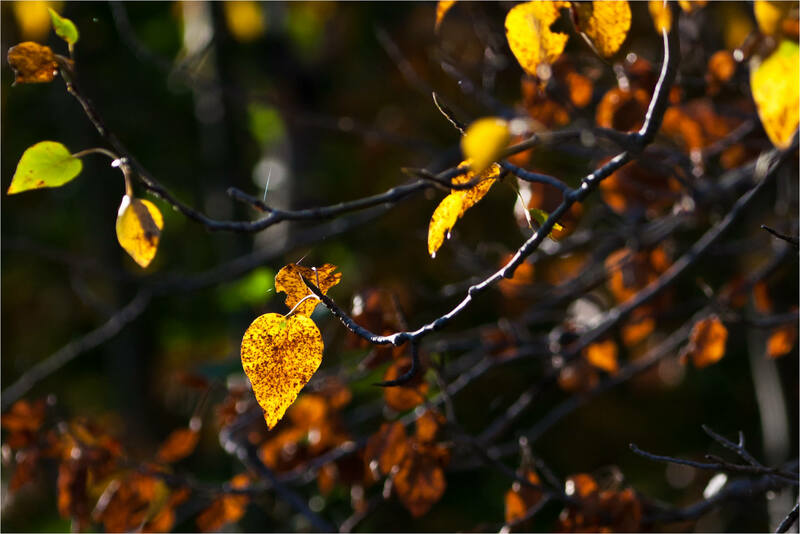 As I’ve written before, amazing colours this autumn. 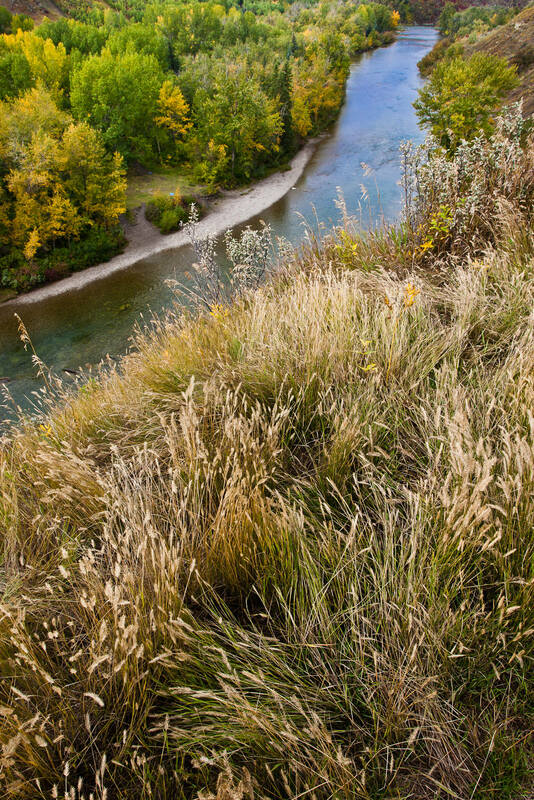 On Thursday I was on a bluff above Altadore Park in Calgary enjoying the fall colors along the Elbow River. Very nice colors even in the harsher midday light. 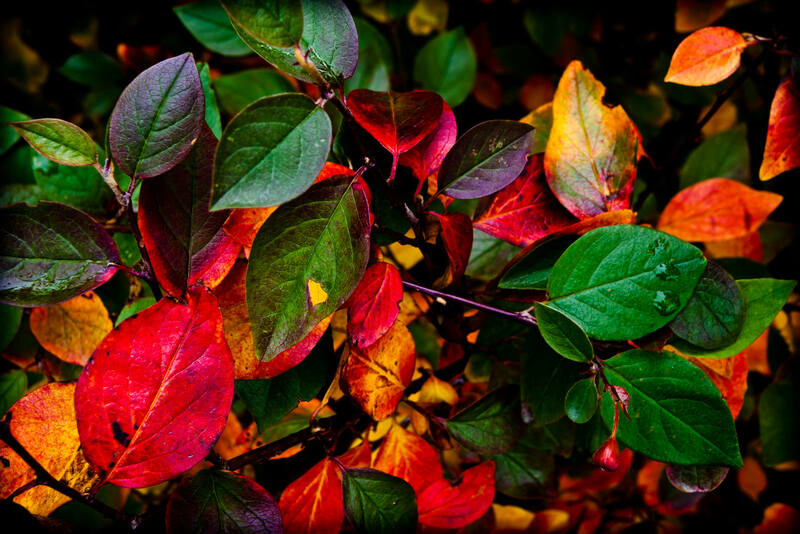 On the walk back I found a very colourful hedge of Cotoneaster along the roadside.